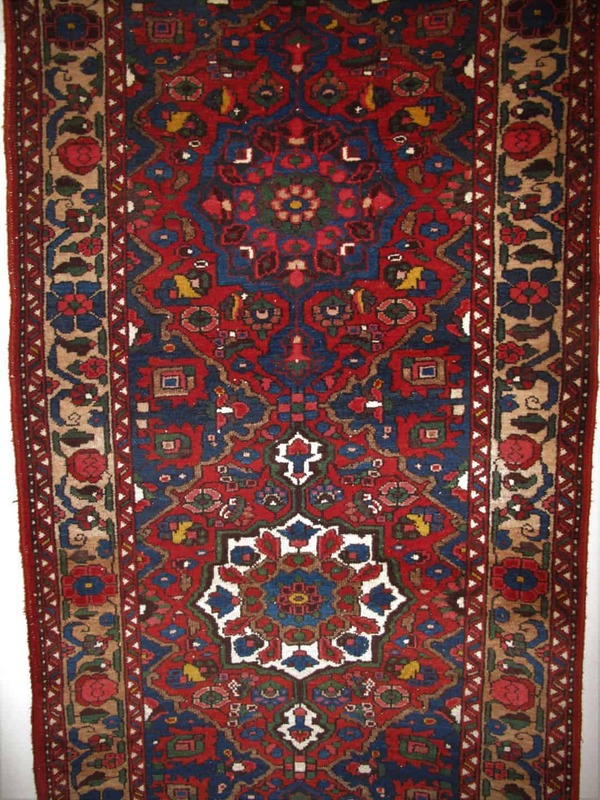 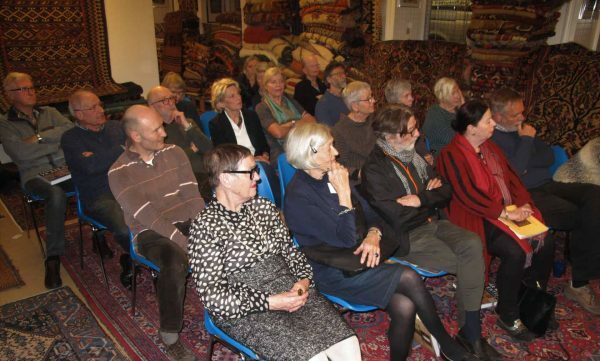 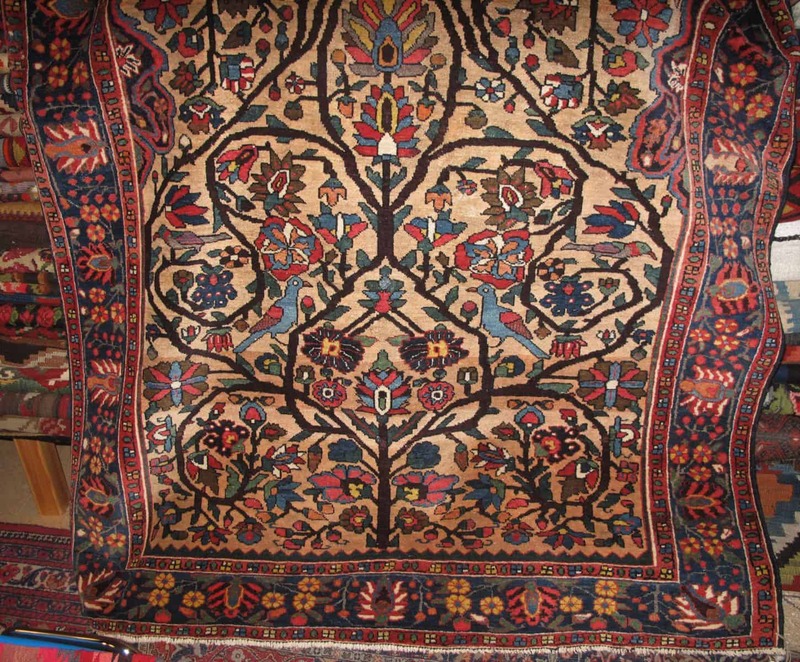 The Danish Rug Society’s recent meeting 28 March 2019 was inspired by late Peter Willborgs interest for Persian nomadic rugs and especially his book Chahar Mahal va Bakhtiari, Workshop and Nomadic Rugs of Western Persia. 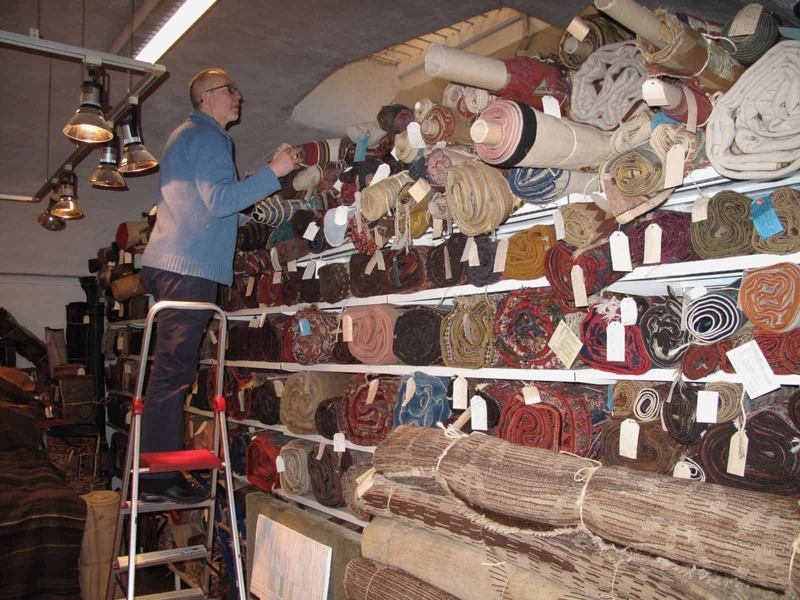 The meeting was held at Wiinstedt Rugs, Carpet & Kilim in their shop in Copenhagen. 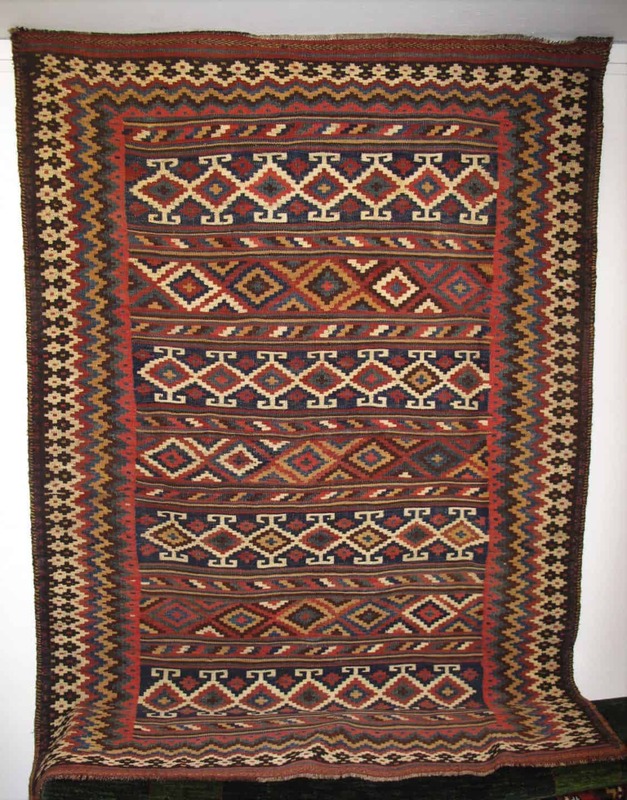 The members were encouraged to bring their own Bakhtiari rugs, kilims, saddle bags, salt bags and more. 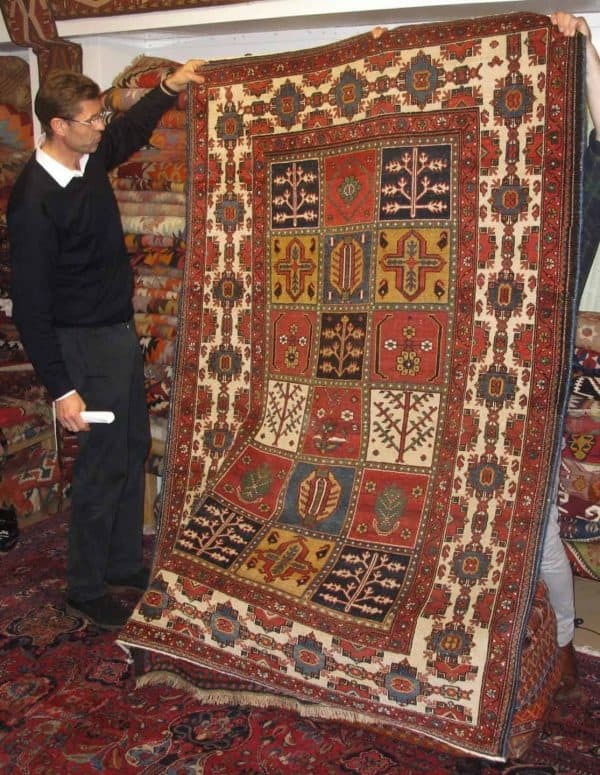 Peter Willborg passed away 21 January 2019. 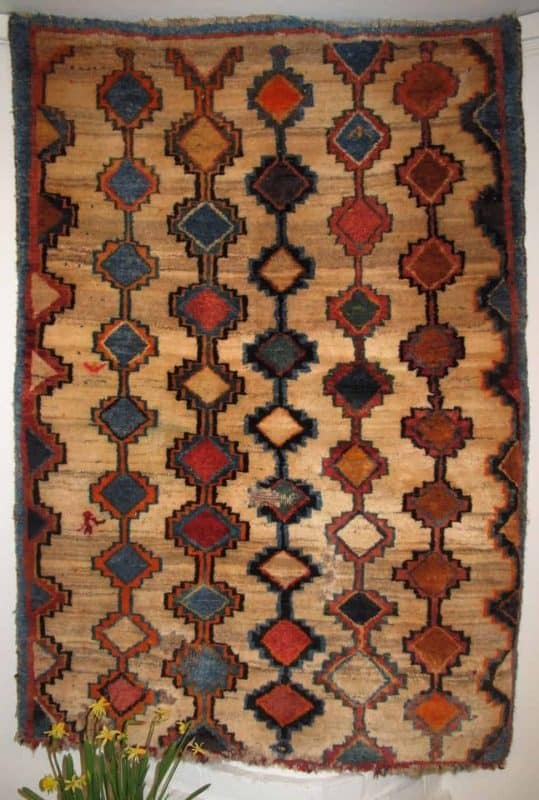 Besides being an author and antique rug dealer he was also chairman for the Swedish rug club Pazyryk. 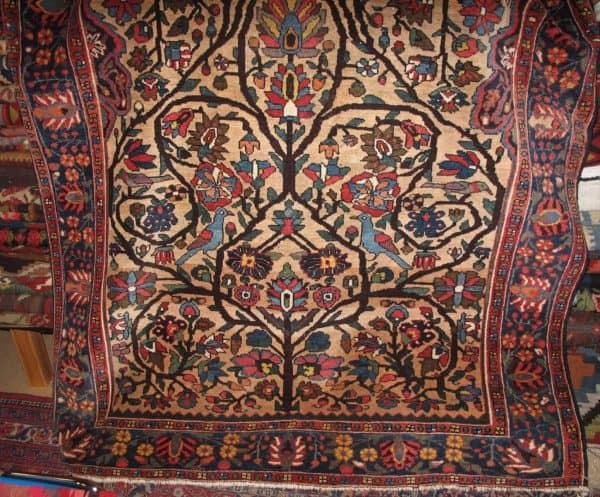 “His most known book about the Bachtiaries ‘Chahar Mahal Va Bakhtiari’ was published in 2002 in connection with his international exhibition ‘The Colors and People of Bakhtari’ November-December 2002. The book includes descriptions of 80 villages in the Chahar Mahal province and he personally visited around 40 of them on his trip in 1988” said Jan Andersen from the Danish Rug Society to Jozan Magazine.